A survey by Hotel Exclusives found that two thirds of people need to see a discount of at least 30% before they consider an offer a good deal. Here at Which? we’re always advocating the need to shop around for the best deals and, according to the survey, nine in ten people are doing just that with hotels. Yet, with only one in five people considering hotel stays a good deal if they’re discounted by 50%, are we being greedy when it comes to how much we expect off our holidays? Full-price hotel stays – no way! This has also led me to question whether we’re focusing too much on discounts, rather than quality. I’ve been very guilty of this myself in everyday life, especially when it comes to restaurant choices. Once chain restaurants started offering mid-week discounts, me and my friends were quick to jump on board. My mindset changed and I became hooked on finding the best deals and allowed this to determine where I ate. Often I would opt for restaurants with the best voucher offers and would be blinded to other restaurants that may cost a little more, but perhaps offered better value. Could the same be happening with hotels and holidays? I recently spotted that Thomas Cook’s website now lets you filter holidays by the discounts on offer. Don’t get me wrong, I think I’ve made it clear that I’m a sucker for a good deal and there’s certainly no denying that price plays a key role in my holiday choices, but shouldn’t we consider more than the discount being offered when prioritising our holiday options? Good deal or good value? Some of the best places I have stayed in, both at home and abroad, offered no discount on the room. I worry that if we focus too heavily on discounted hotels we could be trading in the small locally run hotel that offers fabulous regional cuisine, in favour of a super-swanky chain hotel that’s on half price. Yes, of course the discount could potentially turn an expensive holiday into a good value one, but by making the discount the primary focus of our search we could be missing out on some already fairly priced, good value hotels. 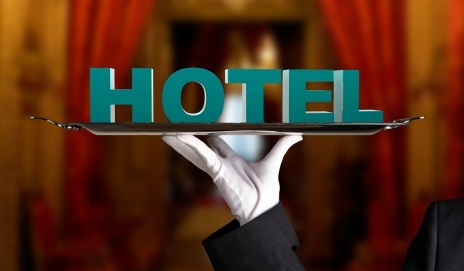 Do discounts rule your decision making when you’re looking for a hotel? What level of discount do you consider to be a good deal? It depends what your doing. If you are touring and turn up unreserved you are going to pay rack rate anyway. However we usually book ahead. If it’s Europe and we’re on the trains we look for somewhere near the station with the facilities we want at a decent price and usually have no idea what the rack rate is till we turn up. Further afield we sometimes go to India but specify the hotels we want and let the travel agent make the arrangements with his counterparts over there. Conversely we often go parador crawling in Spain but base the itinerary on what offers are going at the time. So horses for courses.